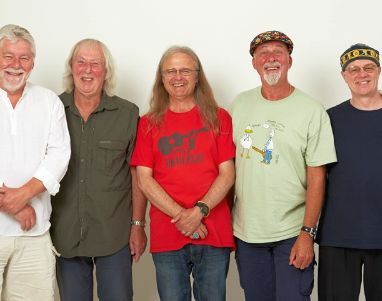 FAIRPORT CONVENTION takes the stage at St David’s Hall in Cardiff city centre for their self-styled “Wintour” this Sunday, January 31 at 7.30pm. Hailed as the originators of British folk-rock music, the five musicians have been one of Britain’s best-loved bands for nearly 50 years. The five musicians have been described by The Guardian as “impressive musicians with a great back catalogue,” Fairport were launched in 1967’s ‘Summer of Love’ and clearly got noticed and acclaimed with their eclectic folk-influenced material. Former members include master guitarist and celebrated songwriter Richard Thompson, the incredible fiddler Dave Swarbrick and the late lamented folk singer Sandy Denny; now guitarist and lead vocalist Simon Nicol (left in the picture) is the only founder member. However, today’s band members (drummer Gerry Conway, fiddler Ric Sanders, bassist Dave Pegg and multi-instrumentalist Chris Leslie) retain a passion for live performance making Fairport one of the most entertaining bands on the concert circuit. Concert tickets cost £21, plus a fee of £2.95. JAMIE SMITH’S MABON, whose sixth album The Space Between earned five stars in FolkWales Online Magazine’s reviews page, top the bill at the Cwlwm Celtaidd festival at Porthcawl’s Grand Pavilion on the weekend of March 4 to 6, 2016). Friday night headliners are Scottish wizards Rura, and the promising line-up includes master triple-harper Robin Huw Bowen, Linda Griffiths and Sorela (Linda’s two close-harmony daughters), Guto Dafis and Danny Kilbride, the twmpath band Jac Y Do, Scottish Highland celtic harper Rachel Hair, dancers Perree Bane from the Isle of Man, Irish guitarist Colum Regan, Dawnswyr Gwerin Penyfai from Bridgend and Dawnswyr Môn from Anglesey. 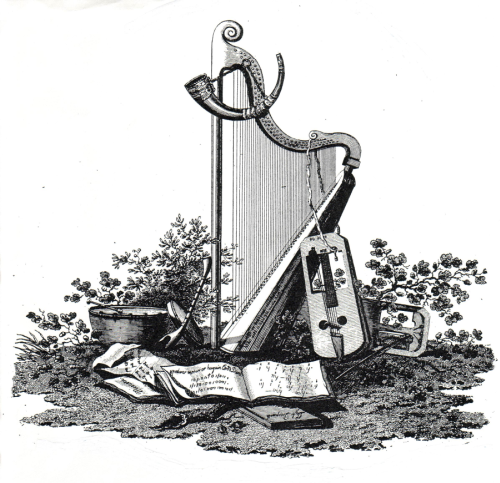 LLANTRISANT FOLK CLUB, which meets on Wednesdays at Pontyclun Institute Athletic Club, welcomes Norfolk-raised concertina player Damien Barber and Mike Wilson, youngest brother of North-easterners The Wilson Family, on February 10 for a battery of strong and powerful chorus songs. 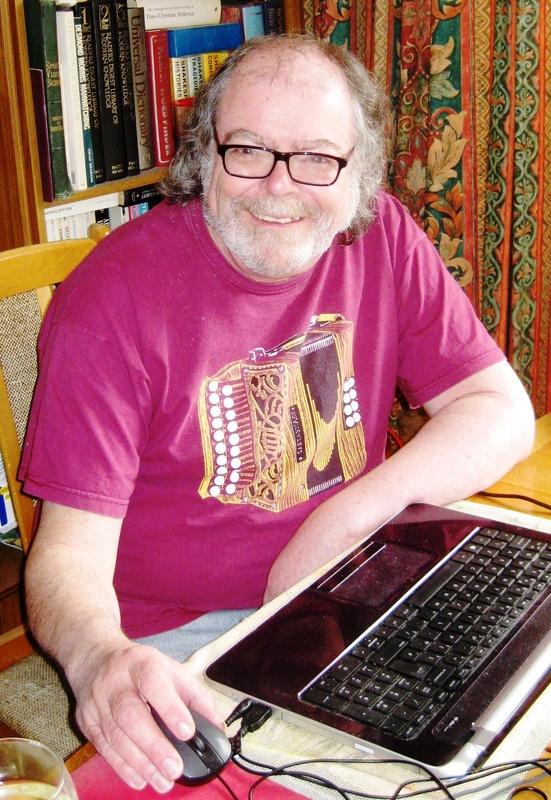 North Wales songwriter Chris Jones appears on March 2, and Si Barron, a fine guitarist and an even finer interpreter of traditional and contemporary folk songs, is guesting on February 17; His latest CD is called Sweet Billy Caution. Cardiff Irish-influenced band Tobin’s Favourites appear on March 23, heralding a special night on March 30, when stunning seven-strong a cappela singers Coda, based in Westport, County Mayo, thrill the audience with their beautiful songs. Latest bookings are the famous guitarist Keith Christmas on July 13, deputising for Issy Emeny’s folk choir Freshly Ground, who have sadly split up and cancelled their gig, and Danish fiddle-and-accordion duo Andreas Tophøj and Rune Barslund play November 23. CLWB GWERIN CONWY FOLK CLUB welcomes The Changing Room, a four-musician project driven by Norfolk-born Sam Kelly and songwriter/singer/accordionist Tania Brittain, on Monday, February 29. The club, based in The British Legion Club in Rosehill Street, meets weekly on Mondays at 8pm. SILLE ILVES, the wonderful Estonian singer and musician, has taken a prestigious folk culture post in her own country. Sille came to the Swansea Valley to be with her husband, ex-Boys Of The Hill member Martin Leamon, and she played hurdy-gurdy, fiddle and Estonian kannel with Martin in the Wales-Estonia duo Sild, the Gerard Kilbride project Taran and the twmpath trio Gower All Stars, where Martin and Sille teamed up with legendary Fernhill musician Ceri Rhys Matthews and and, on occasion, Fernhill singer Julie Murphy. Martin is staying in Wales to sell their house, and he will be joining Sille in Estonia very soon. Meanwhile, her place in the Gower All Stars has been taken by West Wales fiddler Elsa Davies. THE VALLEY FOLK CLUB sessions are hanging in the balance after the news that their pub base, The Ivy Bush, has been put up for sale. The club, which meets fortnightly on Fridays, is pressing ahead with Greg Rowlands plus The Rumblestrutters, (double bill, February 19) vintage blues from Latemouth Blake (March 18), Ffynnon (April 15). Squirrel Hillbillies from the USA (May 20) and Hungrytown (October 21). THE LYCEUM FOLK CLUB OF NEWPORT, Malpas Road, meets on Thursdays and has booked Gavin Davenport and Tom Kitching (February 18), veteran fiddler Tom McConville (March 17), wonderful Scottish duo Mairearad Green & Anna Massie (April 14), equally wonderful Canadian songwriter Dan McKinnon (April 28), The Moreton Roadshow, featuring ace guitarist and banjo picker Chris Moreton and his lovely wife, double-bassist Wendy (May 19), songwriter Mike Silver (June 16) and Greg Russell and Ciaran Algar (July 21). THE NEWPORT FOLK CLUB, based in the Fugitives Athletic Club in High Cross Road, Rogerstone NP10 9AD, also meets on Thursdays; next year’s guests are War Horse Song Man Bob Fox (February 4, 2016), Quicksilver, featuring incredible guitarist Grant Baynham and the wonderful voice of Hilary Spencer (February 25) and Hertfordshire female harmony trio Said The Maiden (March 24). 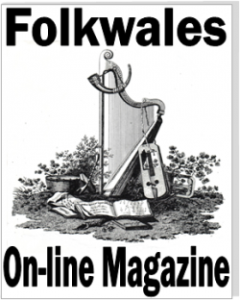 RHYL FOLK CLUB meets at Tynewydd Community Centre, Coast Road, and Bob Fox is the guest on February 5. Greg Russell and Ciaran Algar appear on March 11. Jaywalkers are on April 15, while Jeff Warner (son of American folk collectors Frank and Anne Warner) is on June 3. ← Brilliant originality – that’s Huw! Thanks, Folkwales, for supplying so much vital information! You deserve a medal or an MBE. I recently emigrated in New Zealand’s South Island and relocated to the beautiful city of Dunedin. Thank you so much for keeping in close touch with lovely Cymru/Wales. I must say that FolkWales is an admirable cure for homesickness! Diolch yn fawr, pawb – Cymru am byth.